Floor tiles are a very vital component in any room. It has a strong effect on the overall look of any room. Not only does it add an elegant and pretty touch in to the design of the room, but also it can play a major role in making the room look more spacious and inviting. Since the floors are considered to be one of the heaviest items in a room in terms of traffic, you need to take proper care of your floor tiles to ensure that you will get to enjoy it over the years. We have compiled a few tips and tricks on how to care for your floor tiles; basic and advanced cleaning techniques to maintain your tiles in a great shape over the years. Just like any other item at your home, your floor tiles need cleaning on a regular basis to stay all clean and shiny. With few simple cleaning tasks every day, you can easily clean your floor tiles and enhance its longevity. The simply cleaning routine will easily do the trick. Sweep or vacuum your floor tiles every day. This will help remove all dust, crumbs and debris before it dries off on the tiles. The longer you leave debris on your floor, the harder it becomes to remove! If you are daily removing dust and crumbs from your floor, you will not need any special cleaning products to keep it all clean. After sweeping, you can easily mop it with warm water and a mild soap, and you will have a clean, shiny, and polish floor. After mopping, make sure to dry your floor well with a dry cloth to avoid accumulating dirt and grime which can lead to staining your grout. Always make sure to wipe off any spills or drops right away. Leaving any spills to soak and get dry will lead to staining your tiles. How to deal with harsh and stubborn stains? No matter how careful you are with your floor tiles maintenance, it will always be prone to staining; being such a heavy traffic item. Thus, you need to be equipped with the needed tools and the basic know-how should you encounter a tough and stubborn stain that needs a bit of action to be removed. The below basic techniques and home-made solutions will work just like magic and will help you remove even the most stubborn of stains. If your floor tiles are looking quite dull and smearing and it is becoming to look a bit stained. An easy solution from your own cupboard can do wonders in restoring the shine and sheen to your floor tiles. Just mix 1/2 cup vinegar with a gallon of water and mop it as usual and you will witness the result instantaneously. 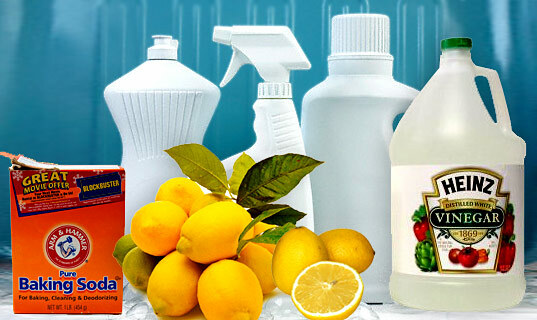 Spills and drops if left to set in in the tiles can cause pretty hard stains; however, with simple ingredients, you can make a stains removing paste that will effectively and easily remove stains. A mixture of 50/50 scouring powder and warm water is what you need. By using a clean cloth, rub the paste on the stained spot and leave it for 10 minutes. Scrub with a brush to remove stubborn spots and then wash with warm water. Ensure drying the area well to avoid building up soap residues. Your floor tiles especially in areas like the kitchen or the bathroom can be a room harboring harmful mildew and moulds. To make sure you always have a clean and sanitary floor, ensure regular cleaning. However, a simple recipe can help you get rid of mildews and allow you to have a germ free floor. A mixture of warm water and ammonia is the great recipe to clean mildews. Just make sure your room is well aired and wear gloves to protect your hands. Apply the ammonia solution and rub your floor with a brush and mildews and molds will be gone in minutes. We offer a wide selection of flooring tiles from various materials and in many colors and patterns, check out our collection online or contact us for a consultation! This entry was posted in Home Improvement, Kitchens and tagged cleaning tiles by admin. Bookmark the permalink.